When you think of pesto, it is usually the flavor that comes to mind. Maybe after that, you think about how easy it is to whip up a last minute meal without heating up the kitchen in the summer. We mostly think about Basil, but many other herbs can be used. Rarely do most of us think about the immense health benefits derived from these herb pastes, but we really should. It can go on pasta, you can slather it on a sandwich, add a dollop to soups, or use it as dip. Pesto is an easy food to eat in a lot of different ways. 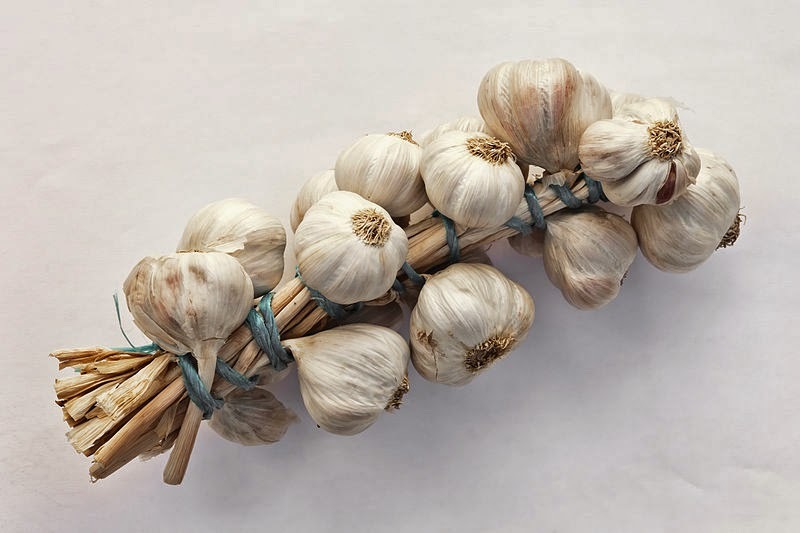 Earlier this year, I was trying to think of pleasant ways to eat more raw garlic during cold and flu season. This is really a subject that has confounded me for many years since garlic was not a typical ingredient in the PA German fare of my childhood. It is an ingredient that I at first struggled to acquire a taste for and eventually came to enjoy. Still, eating raw garlic is one of the simplest ways to kick a virus, and when I realized that pesto was not cooked, it was a revelation for me. - Incredible healing powers that help to prevent influenza, colds, yeasts and fungus and contains antiseptic, antibiotic, antiviral, bactericidal, and anti-inflammatory properties. After watching my daughter go through over a week of the nasty, wheezing, upper respiratory virus this winter (after refusing all offers of my herbal concoctions), naturally, I started coming down with it. Over the course of a day and a half, I ate about 2 full bulbs of garlic and was quickly on the mend. You could smell me coming, but at least I wasn't sick. - All of the culinary basils (and of course holy basil as well) work hard against inflammation. Basil is rich in anti-oxidants that combat aging and support the immune system and can combat stress, help with upper respiratory illnesses, battle headaches, or calm the stomach and improve digestion. Walnuts (who can afford pine nuts anymore?) 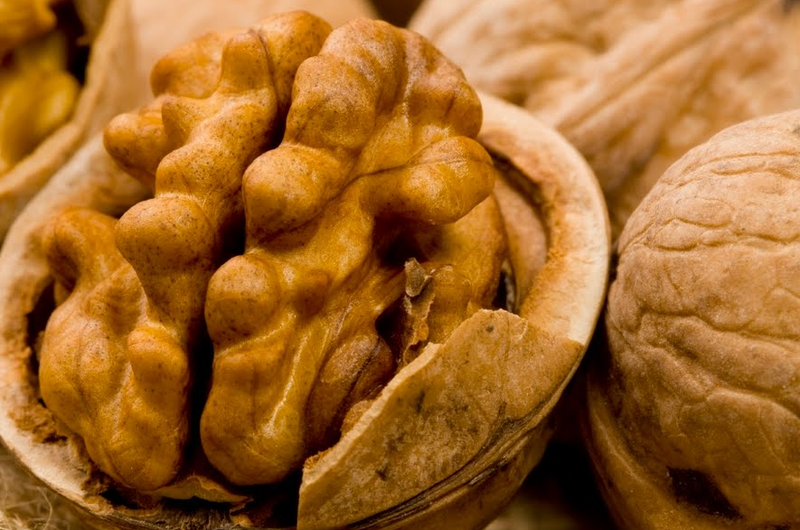 - Walnuts contain both monounsaturated fatty acids and Omega 3 essential fatty acids to promote healthier arteries and cholesterol levels, helping to possibly prevent strokes and heart disease. They contain very high levels of antioxidants and are packed with the B Complex vitamins, tons of beneficial minerals, and vitamin E.
Olive Oil - Bolsters immune system and helps to fight viruses. Consuming olive oil mproves bone mineralization and calcification. It helps calcium absorption. There are many long term benefits to olive oil. 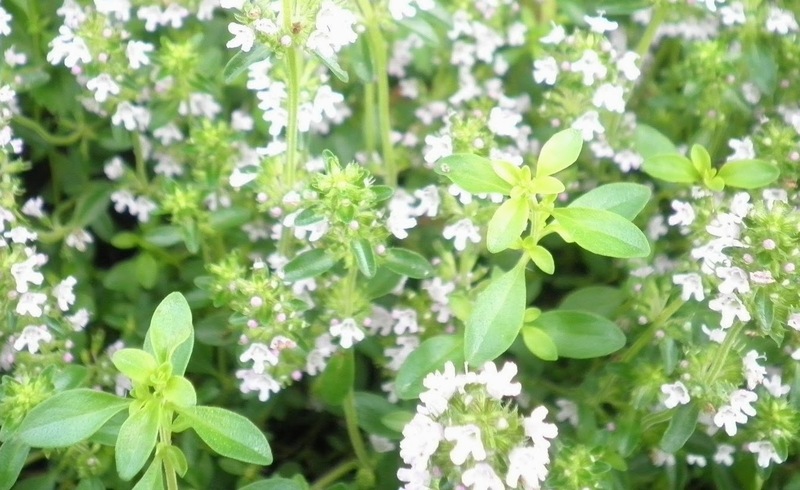 Thyme is a rich source of nutrition, even in small quantities. It is a treasure trove of vitamins C, B6, K, and A, riboflavin, iron, copper, manganese, calcium, folate, phosphorus, potassium, and zinc. One compound, Thymol is one of a naturally-occurring class of compounds known as biocides that can destroy harmful organisms like bacteria, microbes, and viruses. Combined with other biocides, such as carvacolo (also in thyme), it has strong antimicrobial power and displays significant anti-oxidant protection of cellular membranes. - Sage is an amazing source of several B-complex vitamins, including folic acid, thiamin, pyridoxine and riboflavin. Lots of the vitamins C and A, plus minerals like potassium, zinc, calcium, iron, manganese, copper, and magnesium. Highly anti-inflammatory, sage is a powerful herb for people with conditions caused by or worsened by inflammation such as rheumatoid arthritis, asthma, and atherosclerosis. Packed with vitamins and minerals like iron, calcium, magnesium, manganese, silicon, zinc, phosphorus, potassium, protein sodium, copper, carotenes, and vitamins B and C, chickweed also has saponins that help with joint inflammation. Contain tannic acid, lecithin, chlorophyll, iron, silica, potassium, phosphorus, sulfur, sodium, and vitamins A and C. Some of the talents Nettles bring to the table include being diuretic, astringent, pectoral, anodyne, tonic, styptic, nutritive, anti-rheumatic, anti-allergenic, decongestant, expectorant, anti-spasmodic, and anti-histamine, herpetic, galactagogue, and an anti-histamine. 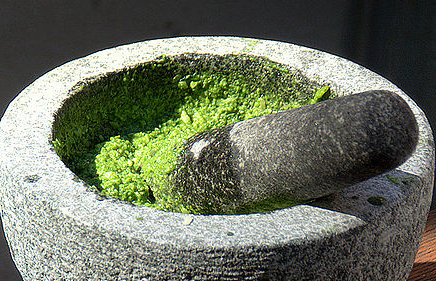 Grinding the herb to paste takes the sting away without destroying the valuable components. There are lots of vital minerals, especially calcium and magnesium available in the leaves. The leaves and flowers contain Rutin, a bioflavonoid that is helpful in the treatment of venous insufficiency and lowered blood flow to various parts of the body. 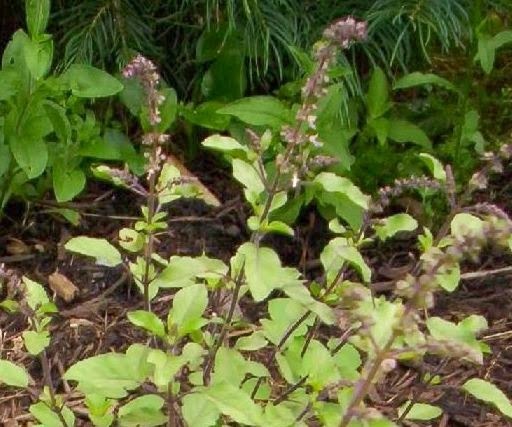 Specifically, hemorrhoids and varicose veins may respond to consuming violet leaves. The leaves especially contain saponins and mucilage, having a positive effect on regularity of elimination, lung health, and can soothe the entire gastro-intestinal and urinary tracts.